You’ve taken the tours, been through Summer Welcome, and on campus for a few weeks. 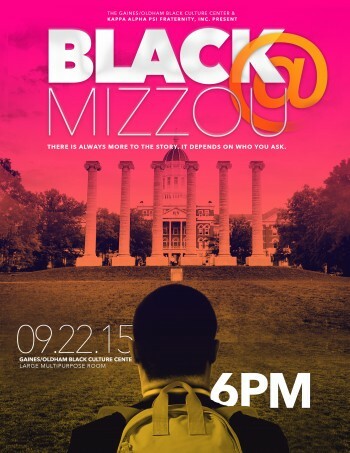 Now come hear what the Mizzou experience is like for Black students on campus. There will be new and returning Black students present to share their experiences both inside and outside the classroom, as well as, answer any questions you may have about life at the University of Missouri and in the Columbia area. Sponsored by: The Gaines/Oldham Black Culture Center & Kappa Alpha Psi Fraternity, Inc.